There's not much that was going to divert me from my Isle of Mull posts, but last nights sunset put in an extra special effort and has managed to do just that. 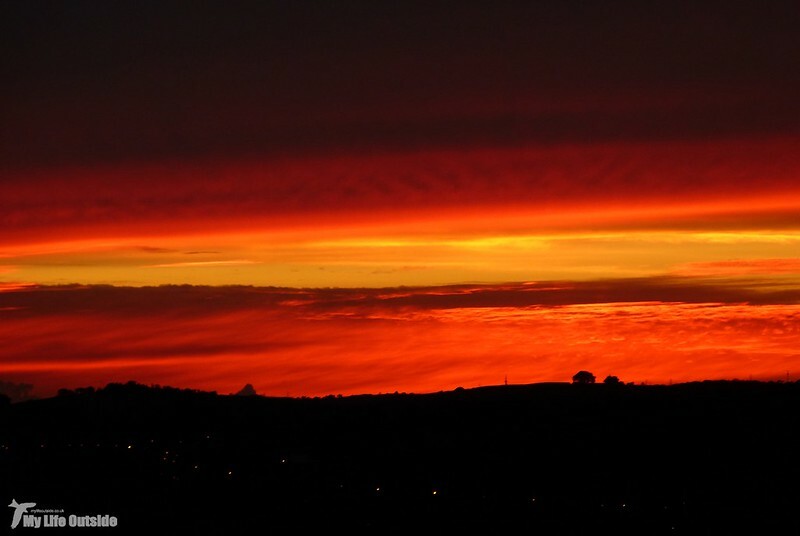 A little after seven o'clock the sky lit up in a blaze of glory with a richness of colour that I've seldom witnessed. Such was its beauty in fact that the local paper was even moved to publish a gallery of readers photos so I thought I'd put my contributions up here to add to the expanding library already being shared through social media. Next up, back to Mull for a spot of Red Deer stalking. Certainly well worth the diversion. And the last we've seen of the sun for a while!